Studio 5380: Peachy Keen Challenge - Anything Goes! I hope your week is off to a great start! It's tough to get going again after the holidays, but I spent most of my day cleaning up this house! Wow...I really let things go over the holidays. But, I was enjoying time with my family and that's much more important than dust bunnies - right? * I created a Center Step Card with my blue cardstock and covered it with this fun paper from "Simple Stories"
* The sweet cupcake is from the Cricut cartridge "Sweet Treats" - I embossed the "icing" with the "Divine Swirls" embossing folder, inked it up a bit and covered with Martha Stewart Coarse Glitter. The cherry got a coat of Glossy Accents to add some shine. 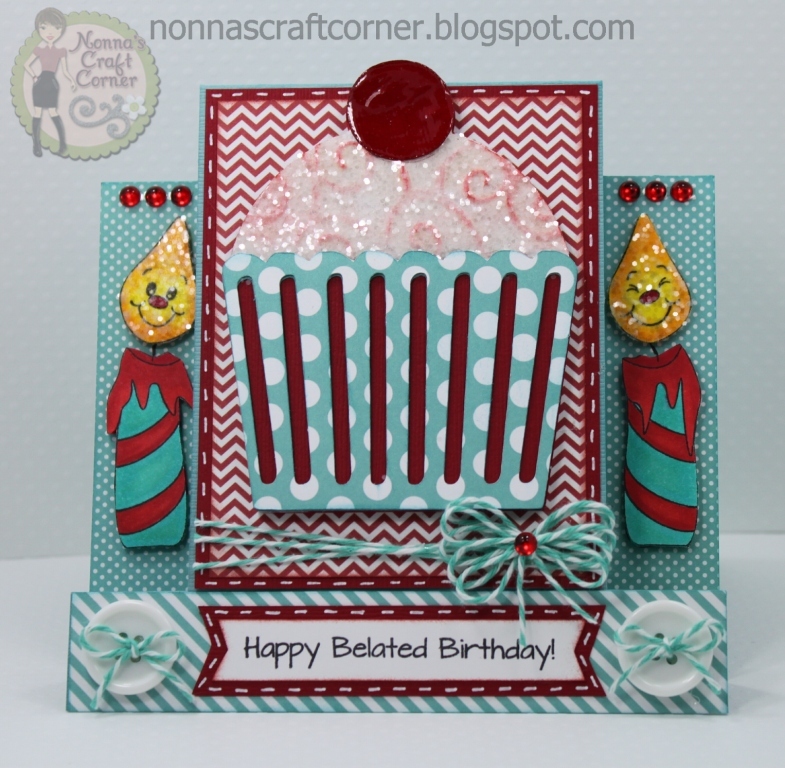 * Those darling candles are from the Peachy Keen Stamps December Stamp Set (PKSC-12). I stamped each candle twice, colored them with my Copics and used pop dots to adhere the layers. The "flame" on each candle is covered with Martha Stewart Coarse Glitter. * I added some white buttons, some pretty twine and a few gems to finish up this fun card. If you haven't already joined our challenge this week, you still have time! You can link up your project until January 9 at 11:59 pm (EST). Remember that you must use a Peachy Keen Stamp somewhere on your project for this challenge. I look forward to seeing your creations! Oh this is just too cute! I love all the glitter and the paper you used is fabulous! Your card is darling! Who wouldn't love to receive this, late or not?! What a cute idea! Loving the turquoise and red together! Love this cute card. Great faces. WOW--fabulous! 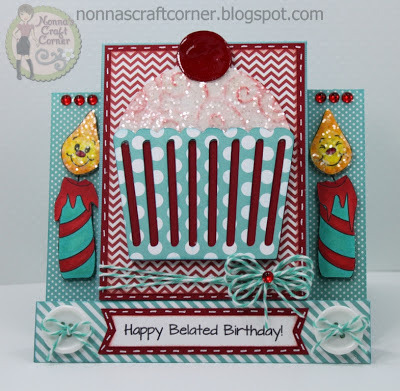 Love all the details you put into this darling card. A Happy Birthday indeed!!! 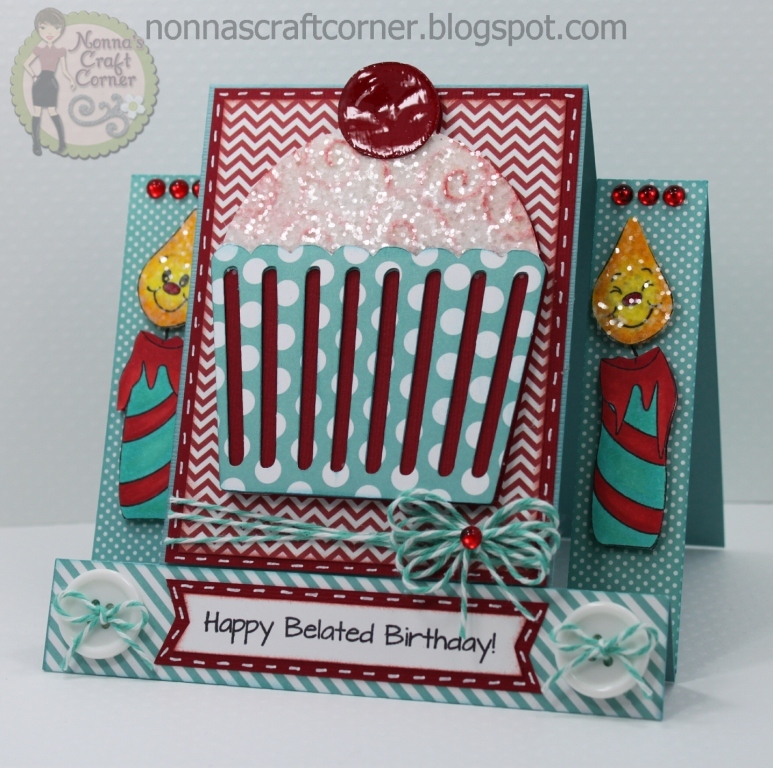 tanya ~ How fun is this card!! LOVE the colors, the papers and those candles!! SO CUTE!! The shape is so fun too! I can TOTALLY relate to your post!! So hard to get back into things and clean up from the holidays! I too enjoyed spending time with my family! So sad its over! Have a wonderful day!!! Tanya, this card is absolutely adorable! I love the colors, the theme, and those candles couldn't be cuter! 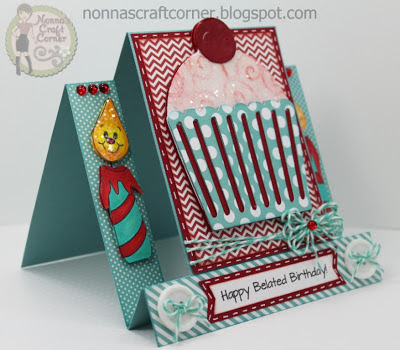 You chose the perfect card base to showcase these cute elements! Wonderful card Tanya.Love the cupcake and the fab candles. I want to dive into that yummy cupcake! So stinken cute Tanya how you added the faces to the candles:) Great papers, love it! This is sooo cute!! That cupcake looks yummy!! Tanya, Tanya, Tanya, you are fabulous my friend! 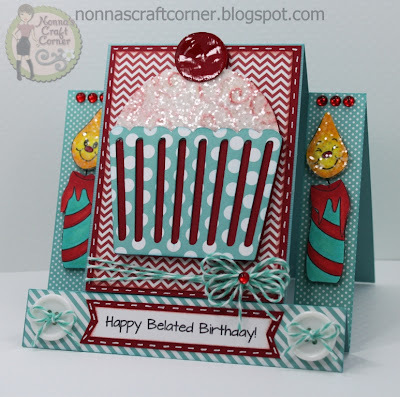 I love this design, the cuts, the gorgeous course glitter, and of course the sweet faces!!! So inspirational!! !